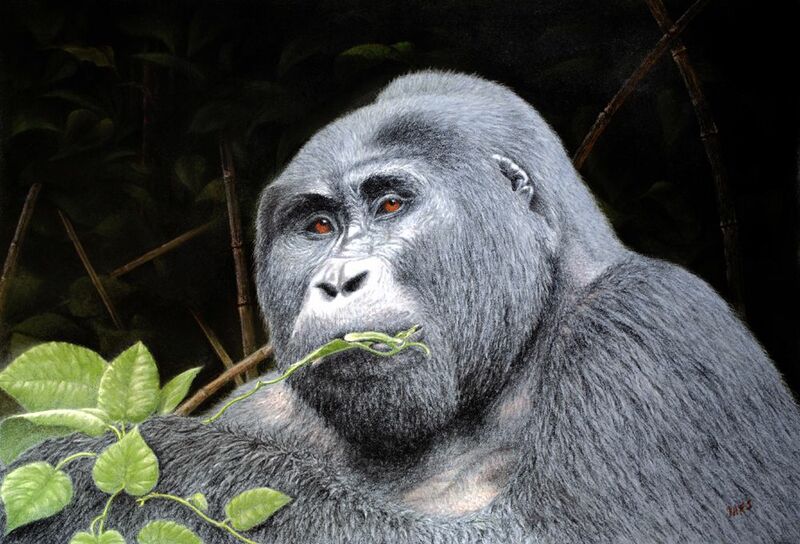 This female silver back gorilla was photographed by a friend in the Bwindi forest in Uganda. She is eating morning glory for her breakfast and I loved the details and expression on her face. The soft background of bamboo contrasts well with the details of the gorilla. Painting size includes frame and is delivered by courier to avoid damage to item. All times are GMT 0. The time now is 6:31 pm.